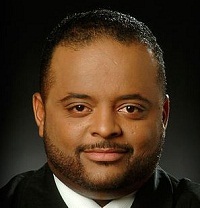 Roland Martin, Jeff Johnson and Pastor Jamal Bryant discuss the delay of Loretta Lynch’s nomination as the first black, female Attorney General of the United States. “After over a 165 days this is the longest time its taken. This is a qualified woman. This is a qualified legal professional. This senate needs to move to confirm her, not because she’s a woman,” Johnson said. Click the link about to hear the entire interview! It is quite common for womanizers to support Women’s Issues. It eases their guilty conscience about the many women they have taken advantage of. Plus it is a great way to get more women. Keep pimping Jamal. And Roland keep putting this ego maniac in our face. To me there are more important things these brothers could try to influence. Her confirmation is important but, black men are being shot everytday.